Transform yourself into a mysterious and sultry brunette with this deep and luxurious coffee brown shade. It is especially suitable for light blonde to dark brown hair. 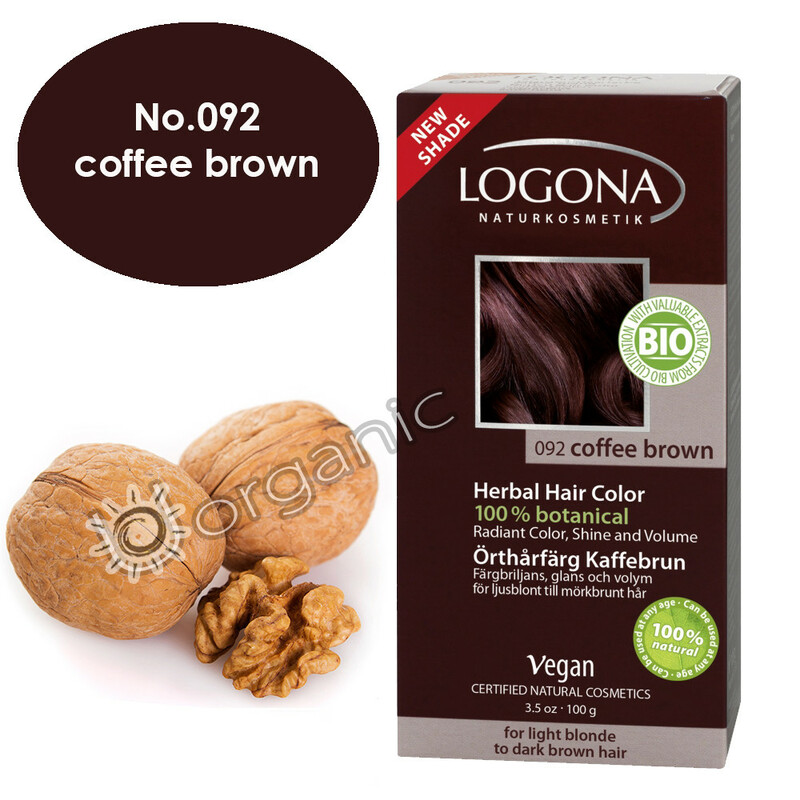 Logona herbal Hair Colours nourish and protect rather than stripping your hair with harmful chemicals, leaving the natural structure of your hair intact. Most commercial hair dyes contain harsh chemicals which strip the pigments away from your hair and leave it feeling dry and brittle. Instead, Logona Herbal Hair Colours make your hair look healthy and shiny by smoothing its cuticle so that it reflects more light. With the colouring effects of botanical ingredients such as indigo, acacia extract, amla berries, white cedar extract and henna this herbal hair dye will improve the texture of your hair and make it more manageable, all while providing you with beautiful lustrous colour.